Shame on you, if you rejoice the harassment, lynching, and oppression of any people. It is time for all of us to stand up for each other if you don’t stand up for others, why should anyone stand up for you during your vulnerabilities? Are you invincible forever? Nearly a million Uyghur Muslim have been targeted by China and forced them into camps. We the people of America are not silent about it, and we are doing everything we can. This cannot go on forever, and China has got to be told that this is unacceptable. 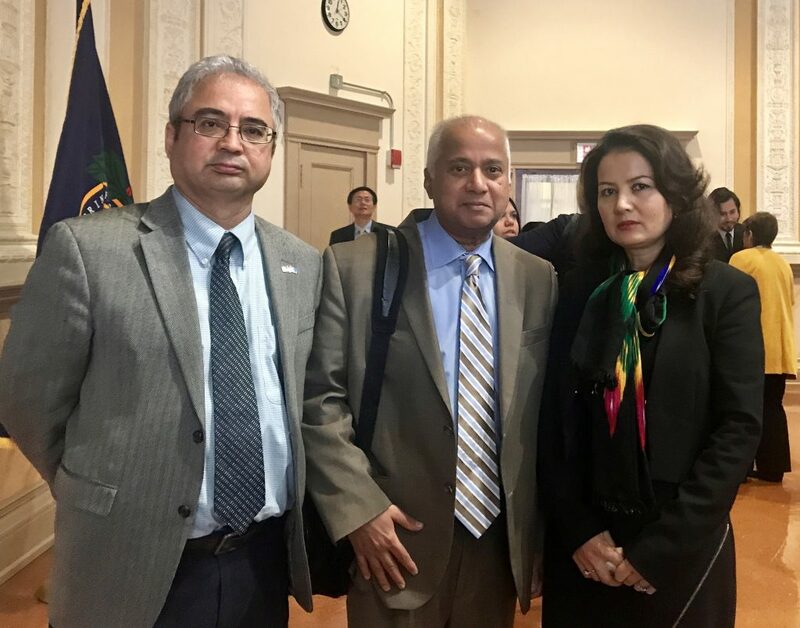 I regularly meet the representatives of Uyghur Muslims, as I do representatives of all faiths representing about 75 organizations at the weekly International Religious Freedom Roundtable. The story is the same – a small percent of misguided people from the majority are afraid of the minorities and resort to lynching and harassing them. Today, I heard about the plight of minorities in Cameroon, Vietnam, Crimea, Venezuela, China, Pakistan, India, and a dozen other nationalities. When there is harmony, people focus on improving their living standards and live a higher quality of life. If there is no harmony, tensions make life miserable to both the givers and receivers of the tensions. We are Americans, and God has blessed us to lead the world on the right path, the path of peace and cohesiveness. Please join me at a rally in support of the Uyghurs, I will be speaking there. I will add the link later.